The DLC produces documentation of Diocesan Policy and answers requests and queries from people of the diocese. It meets quarterly, presently in Shepparton, and the current chairperson is Mr John Hogan. The Director of Liturgy is the Executive Officer and sees to the publishing of DLC documents and works directly with parishes on behalf of the DLC. The Rite of Christian Initiation of Adults comes under the auspice of the DLC, and the DLC has concern for the Sacramental Program in the diocese. 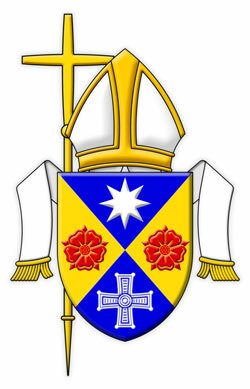 Traditionally each deanery in the diocese has a representative from the priesthood and several parishes represented by members of that parish. The DLC discussions cover a variety of themes within the diocese, from the larger diocesan liturgies such as Chrism Mass to questions raised by an individual relating the liturgical practice in their parish. The DLC is an advisory board to the Bishop, even though it puts out documentation itself, it is always with approval from the Bishop. The fundamental interest of the DLC is to assist parishes that may want help with their liturgy, but ultimately to bring the people of the Diocese of Sandhurst closer to God in the practice of their worship. Contact with the DLC can be made through the Chancery Office to its Chairperson or the Director of Liturgy.